Park in the garage located off Wilson Avenue. The entrance is half-way between Rolland and Whitland. Take the elevator or walk up to the football field level. Go past the dining hall, with the football field on your left. At the dining hall turn right and walk through the first quad and between the buildings to the quad closest to West End. Go past the library (with the Ben Franklin statue sitting on the bench) and into the doors straight ahead. How it works: Fill out the form below. Return it to Kevin Stack via email (kevin.stack@vanderbilt.edu) by December 15, 2018. Kevin will arrange for Mike Ridings of Lawnscapes to contact you to install your tree(s) a next few weeks. 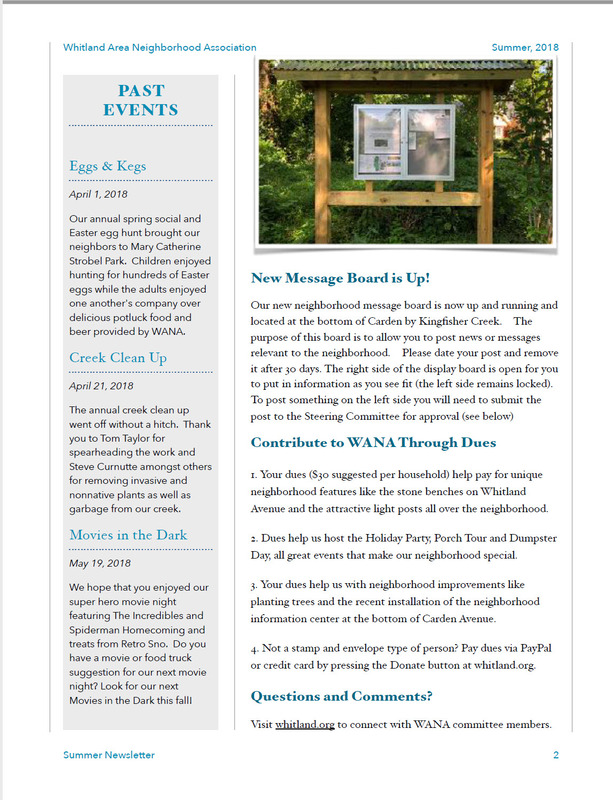 For all trees planted within 20 feet of the sidewalk, WANA will write you a check for $50.00 per tree. It is that simple! Step-by-step instructions below. Double click on the line below. Print out the form and complete it. If you have the capability to scan the completed form on your computer you can then give the file a name and email it to Kevin as shown on the form. Otherwise you will need to drop it off at Kevin's House at 219 Carden Ave. 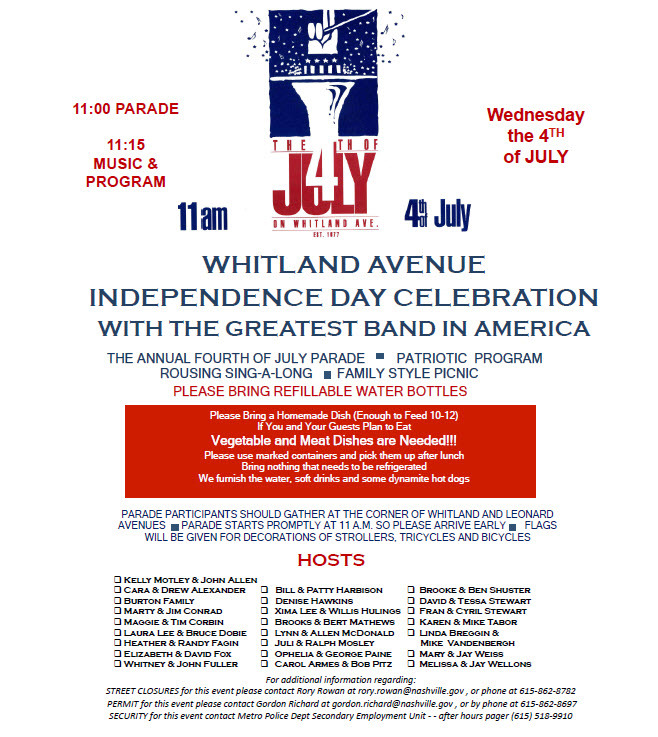 This notice contains as much information as possible about the 4th July on Whitland Avenue event which will take place beginning at 11 AM on Wednesday, the 4th of July, 2018. This is the 4i5t year of this annual fun-filled family celebration which involves a patriotic program with speaker, a wonderful musical presentation, fellowship, & family-styled picnic. If you have never attended before, I can promise that you will not bedisappointed! This notice also serves as a courtesy to inform you that on-street parking will beTEMPORARILY restricted in the area of Whitland Avenue on Wednesday, 4 July 2018 from approximately 9:00 AM until 3:00 PM that day. Please plan to park your vehicle in an alternate location on the event date. Any vehicles left in NO PARKING areas during the times listed above will beticketed and towed at owners' expense. Blinker Ute provides us with barricades for street closures. They will be placed at West End Avenue so that no cars can enter Carden Avenue from West End where the tent is installed. There will also be barricades at the intersection of Whitland & Cantrell on the day of the event (4th July) and also at the intersection of Whitland & Craighead Avenue the day of the event. This is to insure the safety of all the guests, as the event primarily takes place between these blocks on Whitland Avenue (please refer to attached map). The Whitland barricades are removed once the site is cleaned up and everyone has safely left the event. The barricades where the large tent is located (see map) will not be removed until the tent is removed (Thursday AM, July 5, 2018). We will have one port -a-pott y available on-site . Since this is a neighborhood event, if you see anyone in need, pleaseoffer them assistance at your home. We employ Metro Nashville Police Department Secondary Patrol unit for security at our event. There will be two officers present at all times during the day of the event. Contact telephone number for their office is (615) 880-3278. The after-hours pager number is 615-963-0230 One of the officers on duty that day can assist you whenever needed. Gordon.Rich ard@nashville.gov (615) 862-8597 Gordon can provide more detailed information about the Special Event Permit issued for this event. 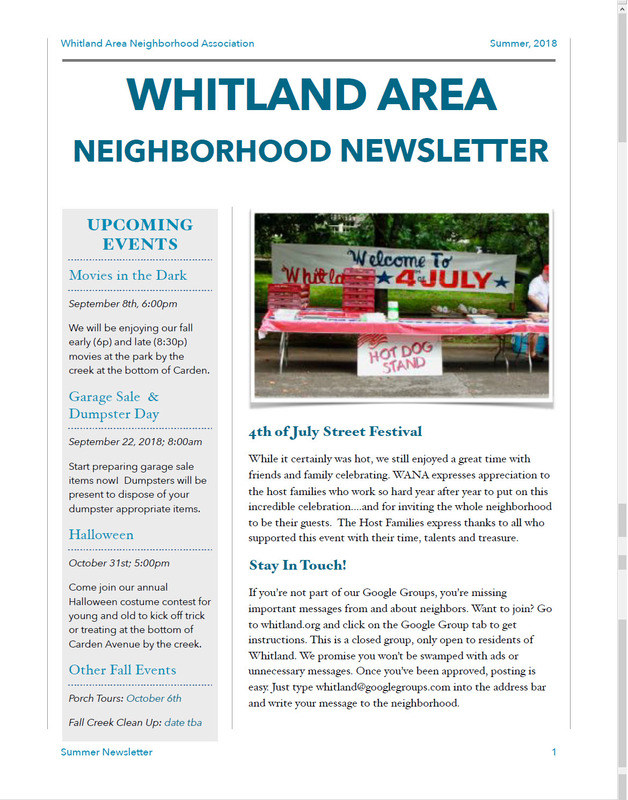 While this is a neighborhood event and most guests walk to the event, if you have relatives or close friends planning on attending, just make sure they are aware of the temporary street closure (barricades) on Whitland Ave. the day of the event on 4th July 2018 and our on-street parking policy during the hours of the event on the 4t h There are side streets of Leonard Avenue or Craighead Avenue where visitors may park. 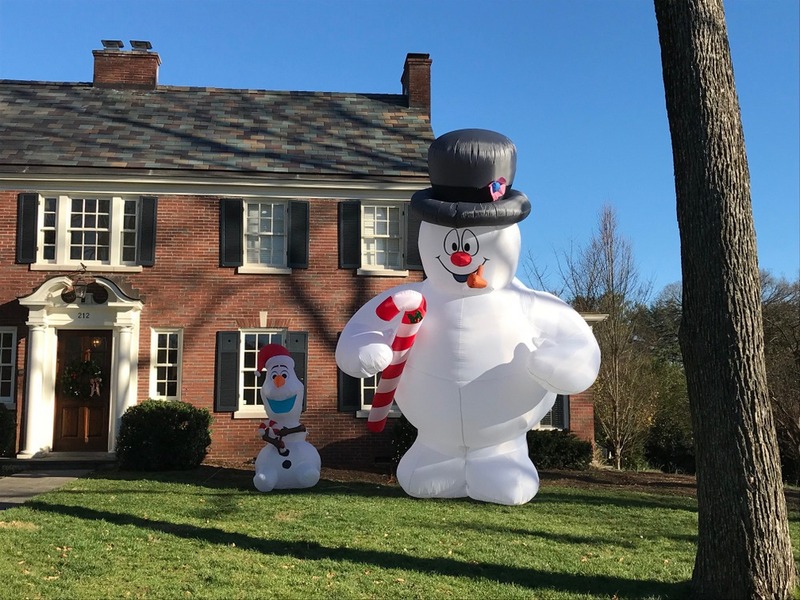 But we ask that you make sure that no homeowners' driveway is blocked. Please be courteous at all times of others who live in our neighborhood. Carden & Cantrell Avenue side streets are dead-ends and are very narrow - - please do not use these streets for parking unless you reside on these st reets. We need to make sure that residents on these narrow dead-end streets have access to emergency needs should that arise and parking along these two streets makes that very, very, difficult. In the event of an emergency, please notify oneof the hosts listed above who will be on-site and available during the days leading up to the event and the day of the event. We will assess the situation· and take all measures necessary to insure the absolute safety and comfort of our guests. your family and friends for movies, picnicking, and Retro Sno. family!!!) Retro Sno will provide snowballs! Note: We have changed the name of our event to Movies By The Creek to avoid confusion with Metro's Movies in the Park (Elmington Park). A small group of about 10 showed up for the cleanup. 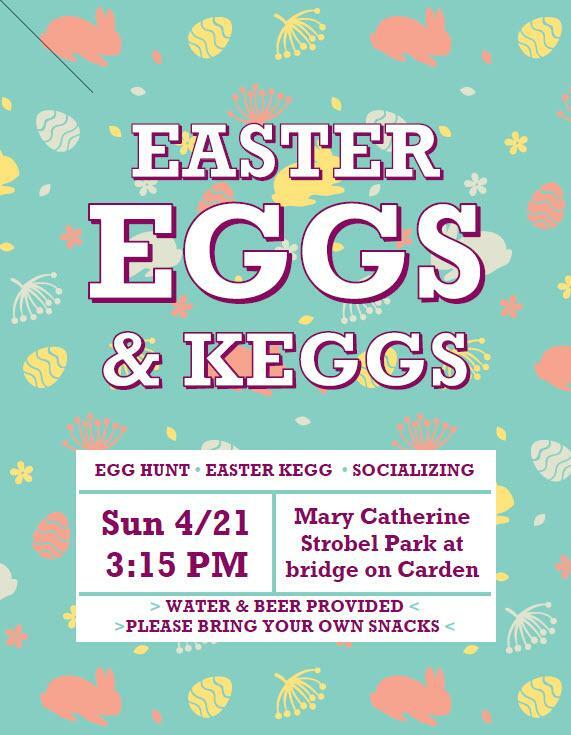 We concluded that rainy days seem to bring out more people as we learned at the Easter Egg & Keg event. Never-the-less piles of branches and trash were put beside Rolland Road from Leonard to South Wilson. While loitering on the Carden bridge over Kingfisher Creek we learned there was a complaint about the rough weathered railings on the bridge. After much discussion on how to fix this John Fleming came up wiith a brilliant idea. Just turn the hand rails over and expose the smooth wood on the other side. It took about an hour for John and Tom Sherrill to pullout all the nails, filip the boads and hammer the nails back. Click on photos to enlarge. Around 11:00AM Bob Lyons brought a truck down loaded with very good beer. At noon he unveiled a beef briskit cooked to perfection using his secret reciple and equipment. Others contributed beans and snacks. Download the video to see Bob in action. 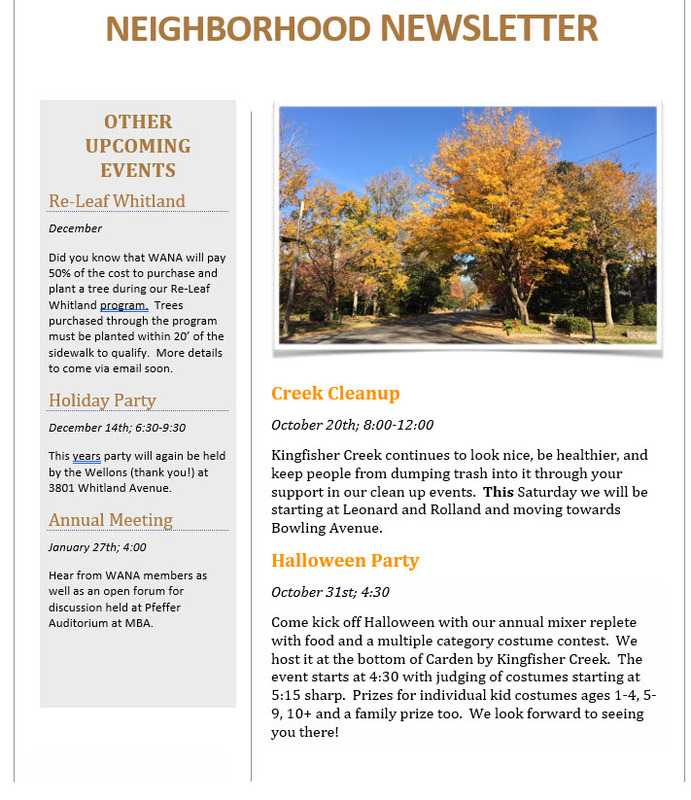 What: Camaraderie with neighbors while cleaning up our Kingfisher creek. Please bring weed-eating and pruning tools if you have them. Food: A potluck lunch will immediately follow at Mary Catherine Strobel park (at the pedestrian bridge at the end of Carden). WANA will provide a brisket and beverages. Hippity! Hoppity! Easter's on it's way! Please join us for the 8th Annual Whitland Neighborhood Spring Social and Easter Egg Hunt to be held on Easter Day, April 1st from 3-5:00! There will be something for everyone, including egg hunts for children of all ages, light refreshments, and the ever-popular Easter Keg! The event will take place at Strobel Park at the bottom of Carden Ave. This year we will work the creek from the Kingfisher Bridge . (bottom of Carden Ave.) to MBA. A potluck luncheon will follow at about 11:30AM at Strobel Park. Tree - a woody perennial plant, typically having a single stem or trunk and bearing lateral branches. Let's preserve the beauty of our neighborhood and plant trees. 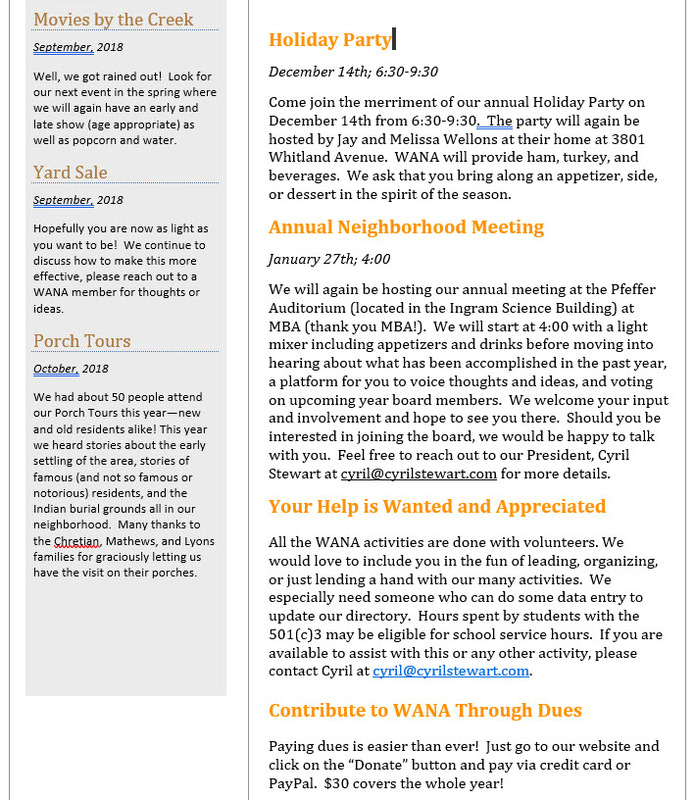 WANA is investigating adding arboretum status to our neighborhood. 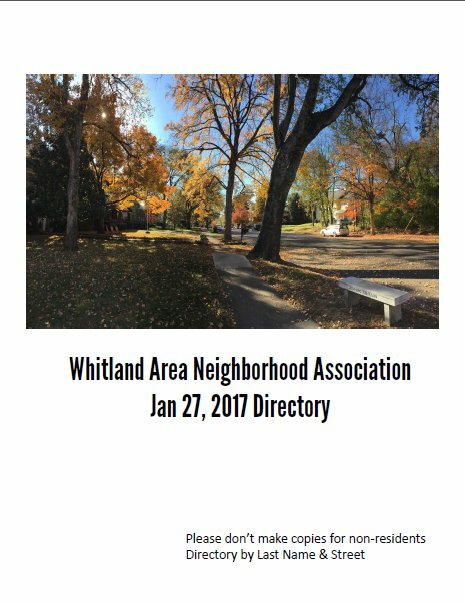 If you have a tree in the public right of way or within 10 feet of the sidewalk that you would like to include the arboretum please contact Melissa Donahue, lis.donahue@gmail.com. 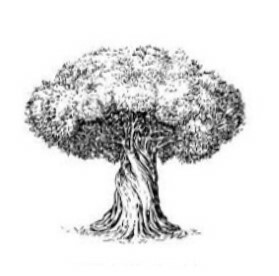 For information on Nurseries and a List of Trees click here and download a PDF file.. 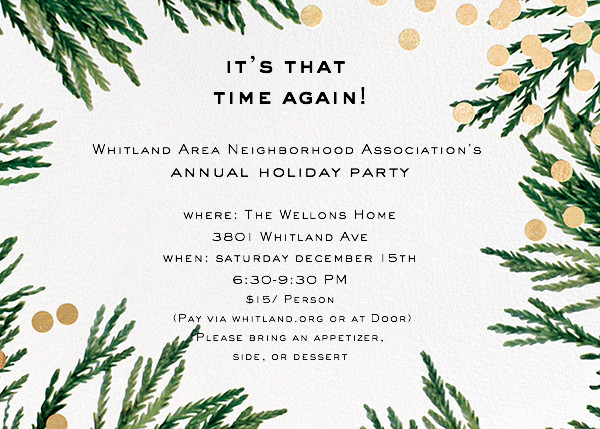 Please join your neighbors and Council Member Kathleen Murphy for wine, cheese, and conversation. 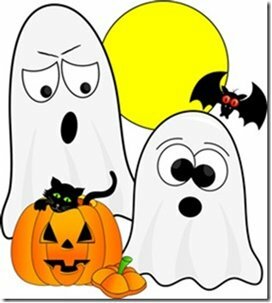 Prizes for individual kid costumes ages 1-4, 5-9, 10+ and family prize too!